So, anyone interested in the newest console form Nintendo? It premieres on 03.03.2017. ...the current games line-up. 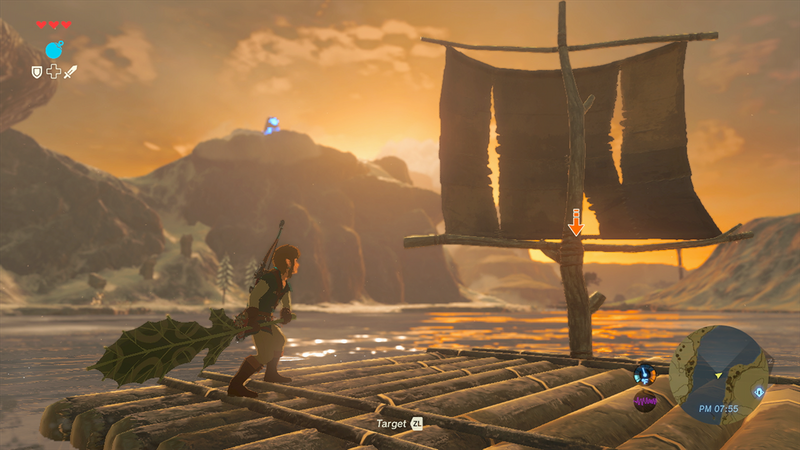 You can't run a console on one hot title, Legend of Zelda: Breath of Wild that is. Sure there are a few interesting titles on the horizon: Xenoblade Chronicles 2, Project Octopath and Super Mario Oddysey for instance, but it is not enough. What is Nintendo actually thinking? Now this console has potential, mainly in 'might-be' titles. And it's not even that hard: just do what they always do, give quality sequels of the beloved franchises. Now I'm not that much of a Nintendo fan, but I now that if the same quality was put into some titles, as was put in their previous entries, I would definately buy the console. A Pokemon RPG, Fire Emblem or any other exclusive game would probably spark my interest from the get go, and it's so hard to interest me nowadays with a new game (must be the aging process ). Do you want to share your opinions guys (there are a lot of Zelda fans here to say the least). Is someone getting this console? It is stated more will arrive in. Pretty certain it was said TES V Skyrim can be played on that, too. It just needs some more time, things can't be rushed in, either. And I also recall some words how Nintendo wants to rival Playstation with such a portable device, which can be attached to the TV. From looks of things, it can turn out to be a big hit for a while. Although paying 300$ is a bit high. How much does Playstation 4 cost nowadays, anyway? Same could be said about Xbox One, too. Edited by Lord_Woock at 00:37, 15 Jan 2017. I haven't owned a game console for over twenty years (of the stationary variety - I do have a DSi XL), so I don't have first-hand experience, but from what I know, consoles are pretty much never worth getting on launch, primarily due to the limited games library. That said, the concept of the Switch appeals to me in a way that the other major consoles don't, so I'll definitely be keeping an eye on it. I might wait for the price to drop a little, too. Also, what's up with tying online multiplayer to a monthly paid subscription? That's utter nonsense. I have no clue how Microsoft and Sony managed to fool the world into accepting this as normal, and now Nintendo's doing the same? I guess I'm not that into online multiplayer anyway, but it still boggles my mind. Edited by blob2 at 11:20, 15 Jan 2017. 3/4 games that you mentioned are available on other platforms, and I already have PS4. - Fire Emblem Warriors is 99% a Dynasty Warriors like game so no thank you. No, from my perspective there are not that many interesting titles. For now. Actually my little rant is not about the lack of games in general, but the potential that lies in Nintendos vast legacy. We all know how bad Wii U turned out: so many unfulfilled promises. To tell you the truth, I would buy Switch even if only for that Zelda game, but I need at lest 3-4 sure-buy titles to consider it seriously. A Fire Emblem TBS game, a full-blown Pokemon RPG game, maybe a new Metroid game? See, I've bought Wii for only a few exclusive titles. Never regretted it. 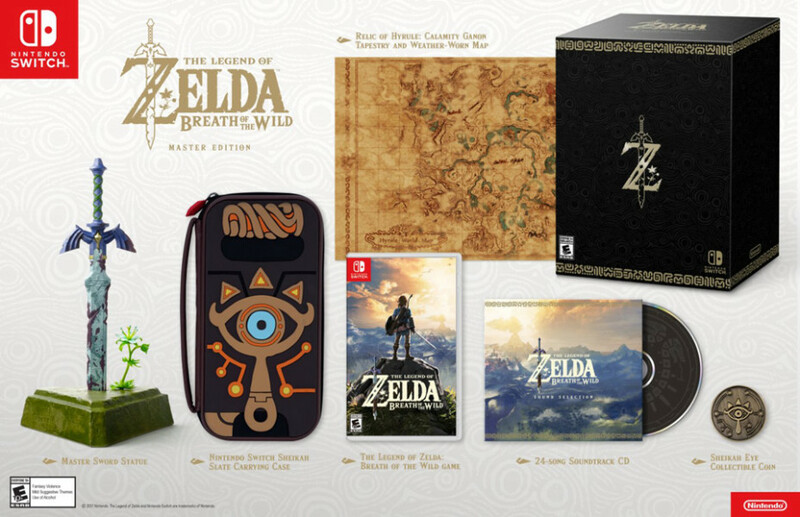 For sure I am, as soon as they make a Zelda edition with the new title I buy it. Edited by Galaad at 09:57, 15 Jan 2017. The mask was a bit too much. Did the pre-order you got comes with Zelda? I was so psyched, when they announced it last year! It looked (and still does) cool and a great hybrid between their handheld and their staionary consols. But after the presentation my hype when I saw the presentation. I am just not sure if this machine is good enough. And not many of the titles interest me. As far as i know there is no Switch/zelda bundle but that's ok cause I still get the collectors edition with the Master sword statue! Edited by blob2 at 12:13, 15 Jan 2017. It's a neat idea that you can use Joycons as two seperate controllers. If your a family man, that's probably the biggest attraction of this system. It's obvious where Nintendo is going with the console: as always casual + Nintendo fans. It won't win the hardware war (I've read it basically has the innards of Wii U). Damn, the potential is so great: it's basically a high-end handheld. There are tablets sure, but those do not have the quality Nintendo titles. But that's just it: if only they f*cking started to draw out their A+ franchises: Advance Wars, Golden Sun or F-Zero to name a few. Why did they even stop releasing such games (risk, no money? ), recently even DS has a problem with quality titles... I'm fed up with 'fun & causal'. That's what mobile games are for for crying out loud! I have PS4 and I buy one game per 3 months max, cause there's not that many titles that interest me unfortunately (and this didn't change much from before I bought it). Mostly Action games and FPS's. Why I bought it in the first place you ask? Well I do ask myself that, but I did enjoy a few good games so I don't regret it. EDIT: I've watched JoyCon presentation. Gotta say, the number of features they've packed into them is pretty impressive... someone nailed it saying Switch takes sth from all the previous Nintendo devices. Fire Emblem Warriors is 99% a Dynasty Warriors like game so no thank you. Having played a demo of Hyrule Warriors at a games shop, I have a hunch that the storyline-driven action of Fire Emblem would also be diluted when mixed with Dynasty Warriors. Game crossovers are hit-and-miss at best and I have a feeling FE Warriors will be a miss. 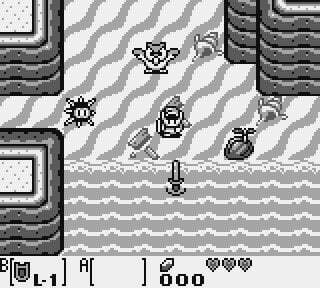 The new Zelda, on the other hand, might actually be a future classic, much needed after the disappointment of Triforce Heroes. Edited by The_Green_Drag at 14:48, 15 Jan 2017. New Mario looks okayish...I don't like the minish cap thing they're doing or the Real life setting that looks to be like the castle of Mario 64. Those things aside, the maps look colorful and exciting. I'll be keeping my eye on this game. Xenoblade chronicles 2 seems rather fast after Chronicles X came out like 2 years ago. I'd pick this one up probably. The first one on the Wii was one of the best Wii games ever made so I'd hope this one is a direct sequel. Fire emblem warriors....I saw this and got hype for a second, then realized it's just dynasty warriors. I used to love those games for their multiplayer but all aspects of the games have gone down hill. The ps2 titles were gold. So now they're combining them with beloved franchises (hyrule Warriors anyone?) it could be better with FE but they really need to bring something new to the table for me to pick this one up. Or if they made the game like the 3~5 titles. Just with fire emblem characters. Bomber man!! I actually like the looks of this. Not worth 60 but I did love the bomber man series growing up and they make great multiplayer games which is half of why I purchase a Nintendo console. Pokemon stars- wasn't listed but it's been confirmed I'm pretty sure...anyways, set one year after sun and moon. Edited by Galaad at 16:29, 15 Jan 2017. Edited by blob2 at 17:53, 15 Jan 2017. Mario Odyssey -> I'm getting SM Galaxy vibe from this. If so, then it will be a fantastic game. Like I said Galaxy is the best 3D platformer I've ever played. It's really worth to keep an eye on this title. Xenoblade -> not playing the first entry is one of my biggest remorses of Wii. Maybe I'll give the sequel a shot. Pokemon Stars -> even if I only recently finished Sun, if there will be a traditional Pokemon game with Pokken graphics then I'm sold (and not a 'port'). But I really hope for a great RPG or, more importantly, a TBS game. First condition might be met somewhat with Project Octopath, but I really need something cool to quench my TBS thirst. All in all I'll probably wait with this, like half a year or so (or till Christmas when there might be a price drop and we will know where it stands). Maybe it's actual release date will bring some more interesting news? Oh yeah you're right, my advice would be NOT to go check out ebay. I hope they do a Zelda/Switch bundle at some point, but I also hope I won't miss it if they do, given how fast it goes out of stock. Edited by The_Green_Drag at 15:07, 17 Jan 2017. Mario -> The thing that really bothered me (this is pretty stupid, i know ) with SM Galaxy was the removal of the punch. along with a few other things...It Seems like Nintendo makes their games for an even younger audience with every new generation. Mario now spins for an attack and turns into a bee when using power ups..
All in all, the game was fun but those little things tend to bother me. New mario games have him in a penguin quit, wearing ice skates, and other odd things. It seems to me like they make these strange items/power ups and make levels around them, when i'd prefer it be vice versa. They dont seem very efficient and more to just get a reaction out of the player. I passed on 3D world for this reason, may or may not pass on Odyssey. Too early to tell. As of right now, I might just pick up the wii u version of zelda. Unless there is a really sweet deal that involves trading in your wii u.
I have a really big problem with this console: it's too damn pricey. Everything Nintendo makes is damn pricey, but this!? On what planet do they live on?